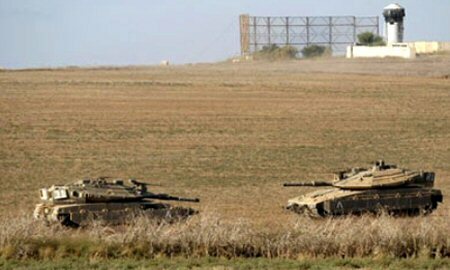 A number of Israeli military vehicles carried out, on Monday morning, a limited incursion east of the Rafah Governate, in the southern besieged Gaza Strip. Local Al Ray sources reported that five bulldozers penetrated, for a limited distance from the military gate located in the area, into Palestinian lands east of the governorate. The sources added that the bulldozers commenced acts of destruction and sweeping in the area. Gaza’s border areas see frequent incursions by Israeli forces on a daily basis, in which it carries out land-leveling operations and erects barbed wire separation fencing.